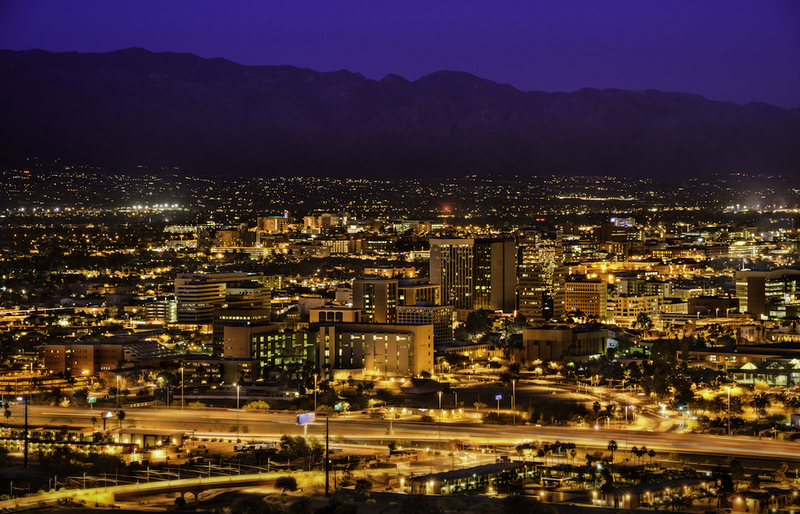 Tucson Arizona skyline and Santa Catalina Mountains at night. light emitted from sources on the ground that is scattered back toward the ground from molecules and aerosols in the Earth’s atmosphere.” Relative decreases in the brightness of skyglow were both predicted and measured in the study, validating what researchers thought would be the case. The models predicted 10–20% reduction in skyglow, if the change were due only to the converted street light system. The researchers measured a decrease of about 7%. “Unless something changes, the world will become brighter,” says Barentine. As proof of that trend, “The new world atlas of artificial night sky brightness” published in 2016 determined that “more than 80% of the world and more than 99% of the U.S. and European populations live under light-polluted skies.”3 But, according to Barentine, “we can solve the problem of light pollution if we restrict light use to places where we need it and we’re mindful about its use.” In fact, if communities educate themselves and make evidence-based lighting choices, they can expect that the night sky in their area might get a little darker.